This is a closer view of a red cedar (Juniperus virginiana) tree that has been blown over, by the wind. The roots of the tree are exposed. 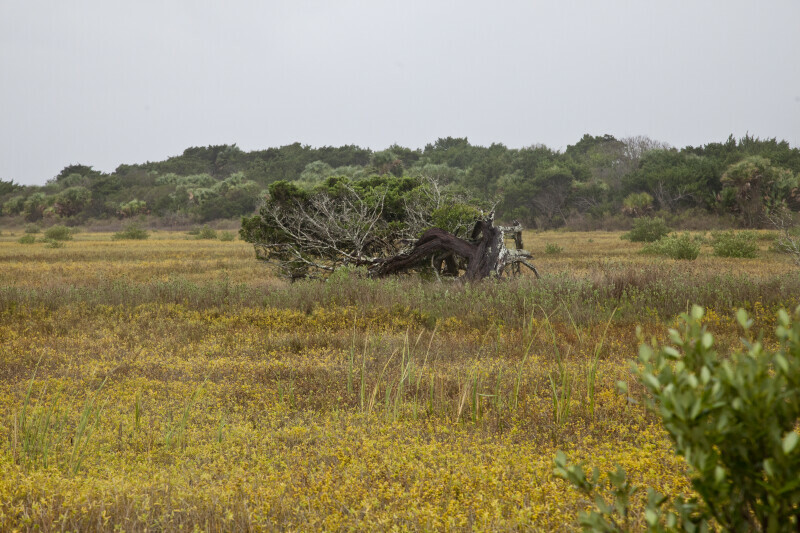 This red cedar may be over 270 years old, surviving from the time when construction began on Fort Matanzas in 1740.